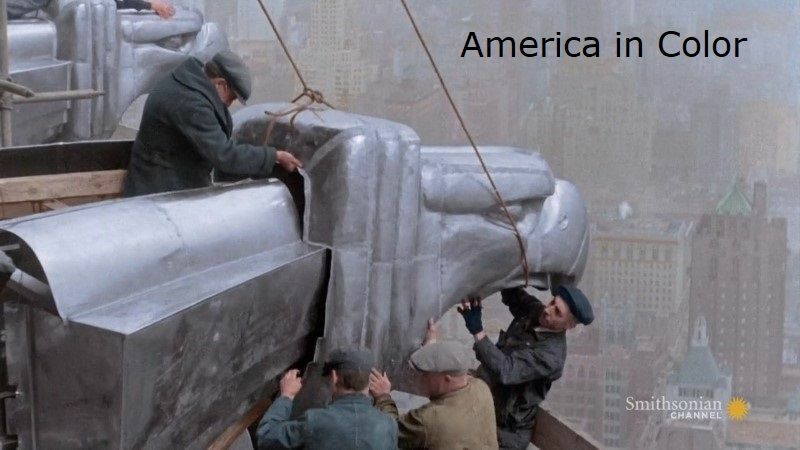 From the 1920's through to the 1960's, America transformed from a young country on the rise into a global superpower. It's a decisive period in our nation's history that most of us have only witnessed in black and white, until now. Using digital colorization technology, we present these formative decades as few have seen them. Join us as we revisit 50 vibrant years of good times and great despair, technological triumphs and natural disasters, and global villains and national heroes. This page was last modified 22:27, 19 April 2019.